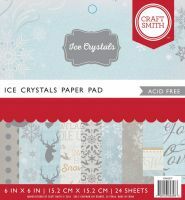 A beautiful 6 x 6 inch Christmas paper pad in cool blues, white and silver. 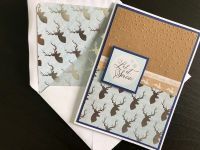 The contemporary designs include snowflakes, reindeer as well as repeating patterns, many with foiled accents. The pad contains 24 single sided, acid free sheets, approx 15 x 15cm.